Do external factors facilitate or hamper domestic democratic development? Do international actors influence the development of greater civil and political freedom, democratic accountability, equality, responsiveness and the rule of law in domestic systems? How should we conceptualize, identify and evaluate the extent and nature of international influence? 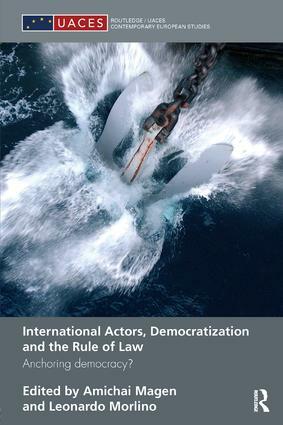 Offering a different stance from most of the current literature on the subject, International Actors, Democratization and the Rule of Law makes an important contribution to our knowledge of the international dimensions of democratization. This book will be of importance to scholars, students and policy-makers with an interest in the rule of law, international relations theory and comparative politics.